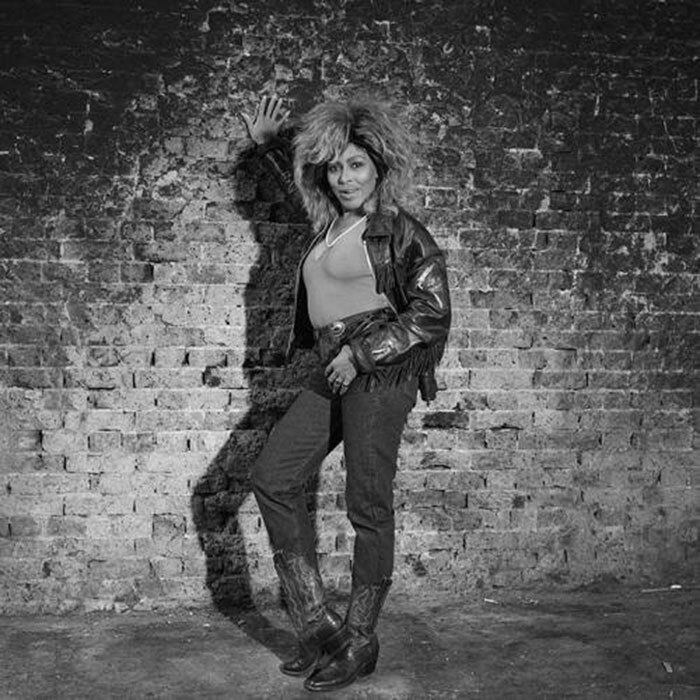 After Tina’s “Private Dancer” success in 1984/1985 and a star role in the Movie “Mad Max Beyond Thunderdome” in 1985, Tina had to make a follow up album for her huge success. At the end of 1985 Roger Davies, Tina’s manager and friend contacted Terry Britten and Graham Lyle again for songs. Terry told them he had a few songs for Tina and they were invited over to London to check them out. Tina lived in London during this time. She already caught the European way of living fever and enjoyed every moment of Europe. Roger made arrangements with Britten to produce half of the album. The other half was a contribution of Tina´s collegues and friends. Friends such as Bryan Adams, Mark Knopfler , David Bowie, Rupert Hine and Paul Brady. Terry Britten came up with the songs “Typical Male“, “What You Get Is What You See“, “Two People“, “Till The Right Man Comes Along” and “Afterglow“. They decided to record these songs and with these songs they already had half an album ready. Roger contacted Tina´s friends if they had any fresh material suitable for Tina. David Bowie came up with the song “Girls“, a bombastic song which also could be considered as a piece of art. Mark Knopfler came with the song “Overnight Sensation“, a country rock-pop song which really was made for Tina. The lyrics of the song really hits Tina´s personal life story and is again an autobiographical song. Rupert came up with “Break Every Rule” and “I´ll Be Thunder“. These two songs are strong phenomenal ballads and “Break Every Rule” became the album title. Bryan Adams donated the song “Back Where You Started“. This song is actually the only real rock song on the album. “Back Where You Started” was also produced by Bryan Adams. Tina recorded more songs of Bryan Adams and Steve Lillywhite but these tracks are unknown for us and still remain unreleased. Paul Brady donated probably the best song of the album called “Paradise Is Here“, a very deep and strong ballad. Last addition became from Albert Hammond. He donated the song “Don´t Turn Around“. Tina did record the song but it never made it to the album. Hammond was disappointed when the producers of the album decided to use it as a b-side for a single. Finally the album “Break Every Rule” was finished and was ready to be promoted in February 1986. Our guess is that Tina performed the first song from the “Break Every Rule” album on the 25th of February 1986 during The Grammy Awards. She performed “What You Get Is What You See”, a song which was released in 1987 as a single. Here’s the video. Enjoy! Tina’s style in the meantime changed into an explosive one. Hair was getting bigger and more wilder than before, dresses were getting shorter and according to her latest recorded music. She went back to (country)/ pop/ rock and r&b. Azzedine Alaia started to design dresses for Tina. For example Tina’s red leather dress that she wore during the 1987/1988 “Break Every Rule World Tour”. Between January and June 1986, Eric asked Tina if she wanted to record a song together with him. Clapton wrote the song himself and the song was produced by Phil Collins. Eric who starred on her new “Break Every Rule” album as the guitarplayer for the song “What You Get Is What You See” requested a duet with Tina for this particular song. A song about Clapton’s relationship with Pattie Boyd. Eric blamed The Committee, a group of Pattie’s friends, for tearing up their love. Eric wrote the song based on that. “Tearing Us Apart” was released in 1987 as a single for Eric Clapton’s album August. 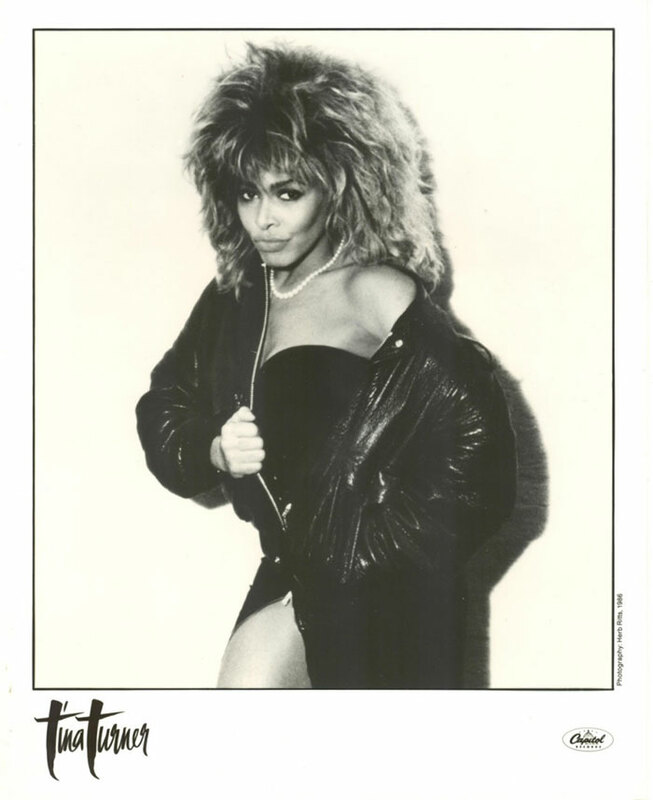 Tina also sang the backing vocals for the b-side of the single. A song of Clapton called “Hold On”. Eric and Tina performed the song live together at The Princes Trust concert in June 1986 in front of the British Royal Family. Tina was on stage with many of her other rock friends like Bryan Adams, Mark Knopfler, Paul McCartney, Phil Collins and Elton John. This performance was also used as promotion video for “Tearing Us Apart”. Besides that, Eric also taped a black and white video for the song. Tina invited Eric Clapton later on during her “Break Every Rule Live World Tour” in 1987 for her concerts in London to do their duet together. August 1986 was a great month for Tina. She visited a popular UK TV Show called Wogan on the 11th of August to promote her upcoming album “Break Every Rule” and her soon to be released single “Typical Male“. With full charm, passion and fire she gave the world what it needed. “Typical Male” was a song which was very new to the audiences but also to the music business. Too unusual for a pop song in that the chorus includes a single measure in 2/4 time. The single was set to be released at the 30th of August 1986. Here's the video from Tina's Typical Male performance at Wogan 1986. 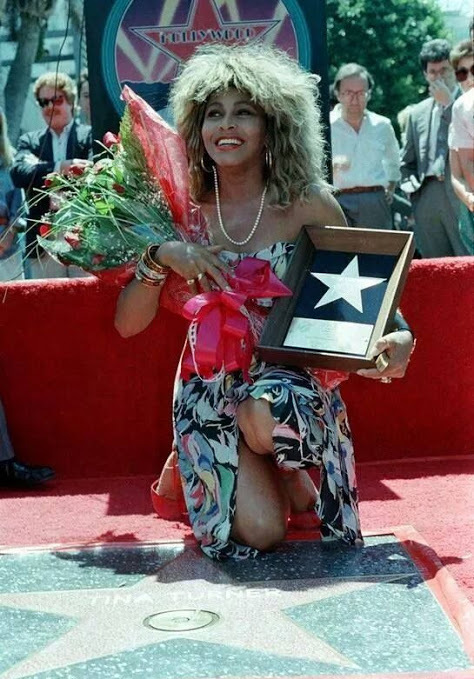 On the 28th of August 1986 Tina received a star on the Hollywood Walk Of Fame for the category Recording. 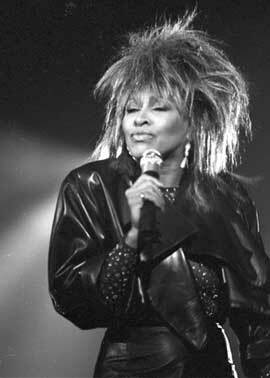 Tina got a beautiful ceremony during her induction and this day became Tina Turner Day. After this great August month and a new album set for release in September, Tina made a move for herself and all other people in the world which was quite shocking for a lot of people. You will read more about this in Part 2, when we go on, on our Rule Breaking Journey.